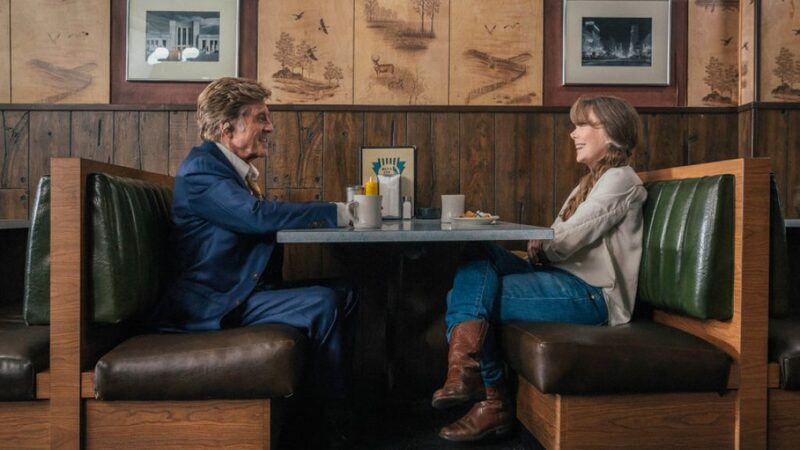 This fall marks the release of Robert Redford’s final role before retiring from acting in The Old Man And The Gun. The film is based on the true story of Forrest Tucker, a maverick bank robber in the early 80s and manages to escape from San Quentin prison at the age of 70. 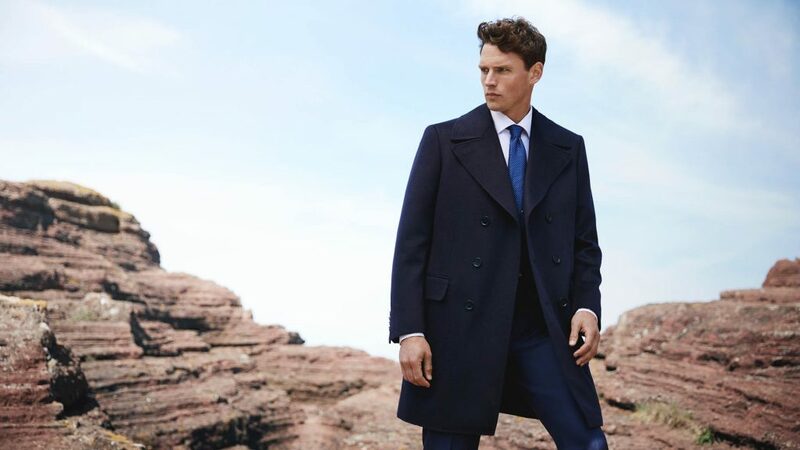 The real-life Tucker was known for being a true gentleman and always being impeccably dressed. 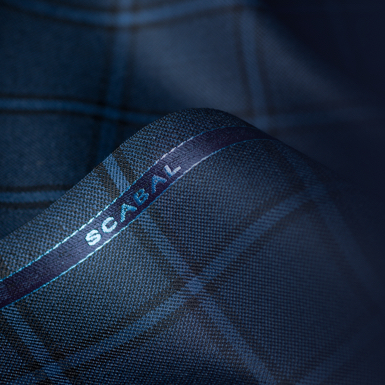 Throughout the film, the on-screen Robert Redford wear a SCABAL 3-piece suit from the Galaxy collection. We sat down with Costume Designer Annell Brodeur to discuss her latest work. 1) Can you tell us a little about the film The Old Man and the Gun? 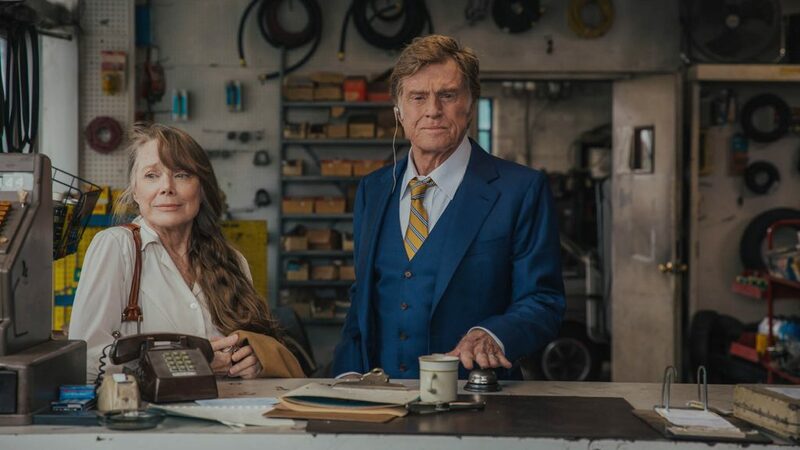 The Old Man and the Gun is about Forrest Tucker (Robert Redford), a gentleman bank robber and prison escape artist, contemplating the end of his run of robberies while beginning the chase of a kindly widow, Jewel (Sissy Spacek). The story also follows the Dallas detective, John Hunt (Casey Affleck), hot on Forrest’s trail. Forrest’s feeling about robbing banks is infectious; love what you do and the time you give to it. 2) What was it about the character of Forest Tucker that made you want to dress him in a suit throughout the film? When David Lowery and I first discussed Forrest’s look for the film, he came to me with the idea that Forrest should be in a uniform, that this man is defined in large part by the clothes he wears. Forrest commits his robberies with little disturbance and a lot of finesse. He talks about walking straight up to the teller, asking for the money, and walking right back out before anyone even knows the bank has been robbed. A man this charismatic and cool, while also blending into this environment, needed to be wearing a sharp, well-tailored suit. As the film progresses, it wrinkles and ages, losing its sharpness as the law closes in and he questions his desire and ability to continue his crime spree. 3) Why did you choose a 3 piece suit for Forest’s character? I looked at images of finely dressed men of the time period as well as well-cut suits throughout the late 20th century. One of my favourite inspirations was a photograph of Johnny Carson in February of 1980. Dressed in a conservative pinstripe three-piece suit, cut with strong shoulders and modest lapels, he had an ease and swagger that just felt like Forrest. The three pieces also gave us more opportunity to play on screen. With a character who wears one look for the majority of the film, we were able to show the passage of time as well as the significance of being fully decked out for the robbery scenes. 4) What made you pick that particular fabric? The film is based on a New Yorker article by David Grann that told the true story of the real Forrest Tucker. Tucker grew up during the height of the ‘gangster’ era, when the country idolized the likes of Dillinger, Pretty Boy Floyd, Bonnie and Clyde. When Tucker began his bank robbing career in the late 40’s, well after these flashy performative personalities had died out, he still emulated their style. He wore chalk striped suits and two-toned shoes. But as he aged he developed a more “natural” style, much more subdued but still sharp. I’ve always instinctually used the same method my great grandmother, a master seamstress in her own right, used: I have to ‘feel the goods.’ The weight and drape of a fabric is something you can’t determine just by looking. 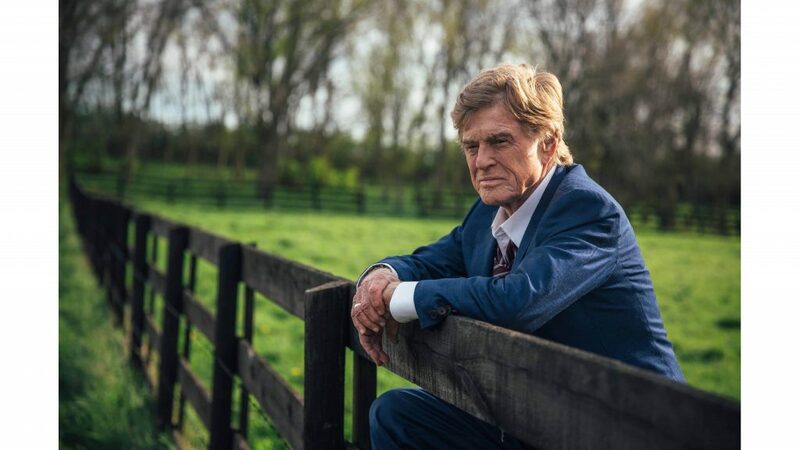 So I went to tailors all over Cincinnati, looking through swatch books, trying to find the right shade of blue with a subtle striping that would set Redford apart in the scene as well as look natural with his colouring. 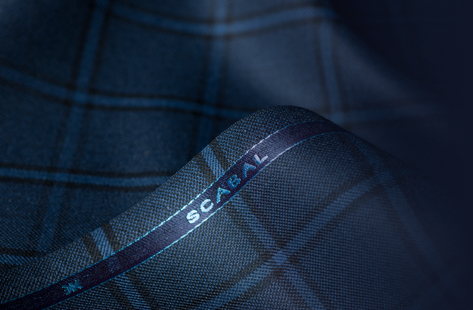 The faint ruddy stripe and rich heft of the fabric made the Scabal fabric my first and favorite choice. Even after weighing other possibilities and options this one remained at the top of my list and it was a dream being able to see it built into his suit. 5) Do you find that the actors get involved with the choice of outfits for the character? It is often the case that Costume Designers will work closely with an actor when it comes to developing the look of a character, to what extent can vary from project to project. Usually I have the opportunity to share ideas and renderings or research with an actor before they are on location, so they know what to expect and so I am able to incorporate some of their feelings and ideas ahead of time. The whole filmmaking process is a monumental collaboration and we are all working together to service the story and the vision the director has set out to achieve. 6) Did that happen at all on this film? David reached out to Robert early in our prep period about our idea for dressing him in one suit for the majority of the film. We were still prepared for Robert to have opinions upon trying on the suit the first time or for him to ask for an alternative option, especially as he helped develop and produce of the film. Fortunately our preparation was rewarded and he was very pleased with the costumes we presented. What you see on screen had only minute changes from what we put forth. We also worked with our other actors on the film in this way, most notably with Sissy Spacek and Tom Waits, to try to dial in the characters they were portraying. 7) The costume is such an important part of the character development what’s it like to see the characters come to life for the first time? When you’re in the middle of production it’s hard to step back sometimes and take stock of what is happening, how its all working and coming together. I often have to trust that the thought and preparation will all be there in the final product. But sometimes you forget about the performance or the job and just see those characters standing in front of you and the magic you’ve helped create is working on you. And that’s just what it is, magic. 8) What made you first want to be a costume designer? I think I’ve been costume designing long before I even knew what that meant. I would draw clothing on little characters all throughout childhood, design clothing for myself only ever constructed in my head, and conceptualized a short film concentrated around what the people were wearing. I grew up doing theatre after school and have always been involved in the performance arts. When I began working in my university costume shop, I fully discovered the connection with my innate sense of storytelling with clothing. I was able to inhabit all the character’s mindsets, dive into their psyches and present my opinions of them. I love sitting and discussing a character, speculating how and why they said or did that, like I’m gossiping about a lifelong friend. 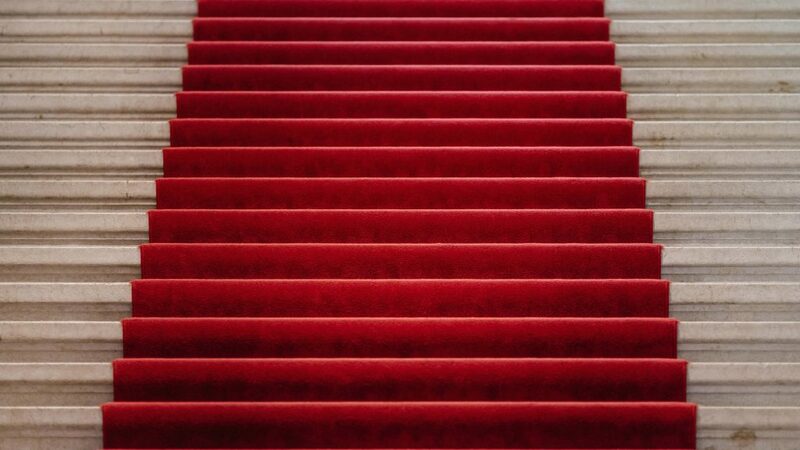 9) How did you get to where you are today? Very good fortune and hard work! I’ve been so fortunate to be able to be surrounded by such talented and thoughtful creators who I’m able to work with over and over again. I like to think that I keep working with the same groups of people because of my desire to collaborate and tell stories as well as my diligence at producing the best work I can. I’ve also been fortunate to have wonderful friends serve as assistants and crew to me time and again that I can trust when it comes to running the ship of a costume department – you are only as good as your team! 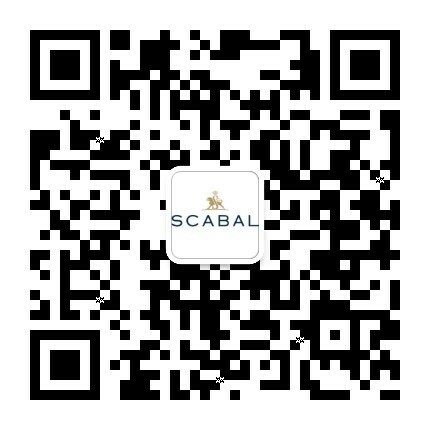 10) What do you like most about your job? When I think about what I do, I feel like I’ve tricked fate in a way. My job enables me to travel the world with my friends and play dress up. It’s the kind of job the kid version of me would ask for. 11) Do you have any advice for anyone wanting to be a Costume Designer? The best piece of advice I got was, if you want to be a designer then you need to be designing. I was fortunate to learn a lot of other practical skills along the way; drawing, patterning, sewing. These are skills that help me when I’m working but they can be taught on the job or even hired out. They don’t change the process of idea building. My other piece of advice is to simply pay attention to the world around you. There is so much to glean and inspire if only you open your eyes. 12) If you could have worked on any film past or present what would it be and why? To be honest, most of the films I can think of that I’d like to have worked on I would never want to see the costumes changed because they add so much to my personal memory of the movie. But, if given the opportunity, I’d have loved to design Ocean’s 11 (2001) though I still can’t imagine the film without Jeffrey Kurland’s designs. The characters are so rich and specific (and funny!! ), they’d be a joy to discover their closets. Even the guy’s disguises and get ups are so diverse and fun. And what a cast!! I cant imagine a more enjoyable experience. 13) What has been your proudest career moment do far? As I wait for the release of Old Man and the Gun, which I anticipate being a benchmark moment for me, I recall all of the feeling surrounding the last film I made with this same group of people, A Ghost Story. A lot of sweat and time and tears went into making that film. Seeing the ghost sheets I had built with my own hands on display in New York and Los Angeles was overwhelming and the response to the movie was incredibly gratifying. It was very special to hear that people watching that movie felt all the same things we felt put into it.